Last up to 10x longer than wire brushes! 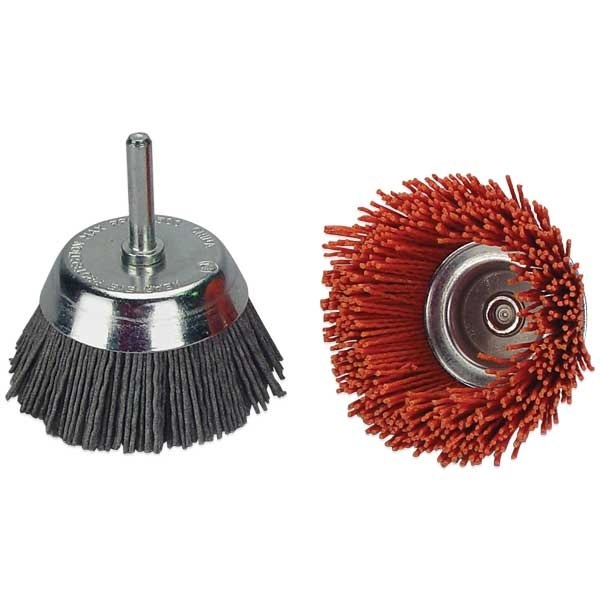 Nylon brushes have abrasive impregnated in them, so are great for stripping paint, and removing rust, corrosion & weld scale. Also for preparing plastic, fiberglass, and metal for primer. Nyalox brushes last up to 10x longer than wire brushes - they hold their shape and won't rust or shed bristles. As bristles wear, new abrasive is exposed, renewing the brush. 1/4" shank. 4,500 rpm max.